Thank You For Being A Campaign Coordinator! Welcome to the Campaign Coordinator's Resource page. Here you will find all of the resources you need to run a successful workplace campaign. 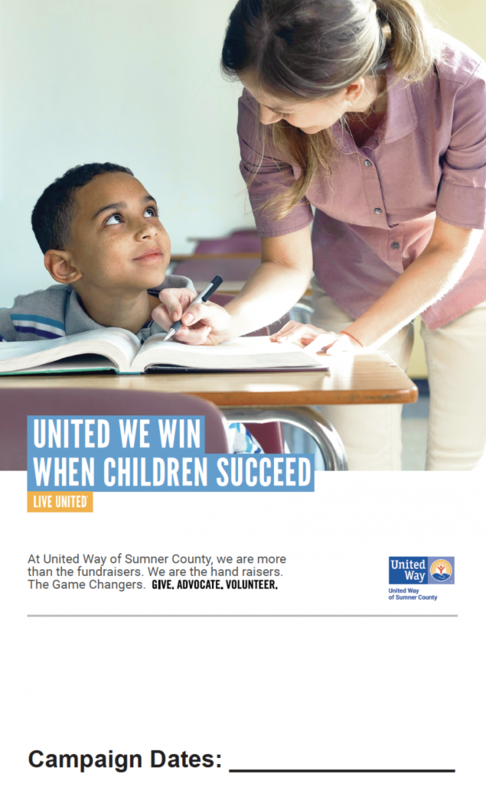 Of course, United Way of Sumner County is here to help with that effort. 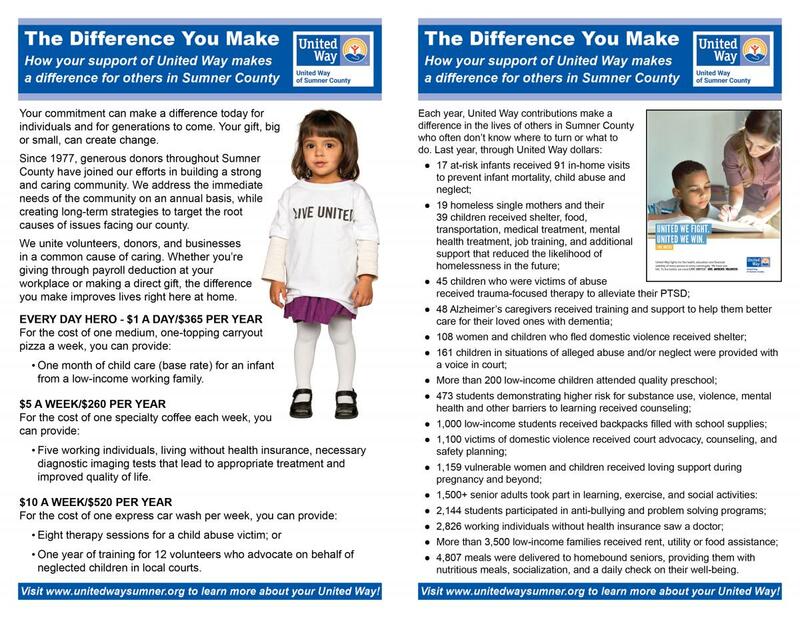 From year-round engagement and communications to our Campaign Coordinator training (held each summer before the annual Campaign kicks off,) to providing opportunities for you and your employees to learn more about what United Way does in Sumner County through our partner agencies, just let us know what we can do to help you LIVE UNITED. We could not reach all of the donors we have if it were not for workplace campaigns. Thank you for being the backbone of our fundraising! 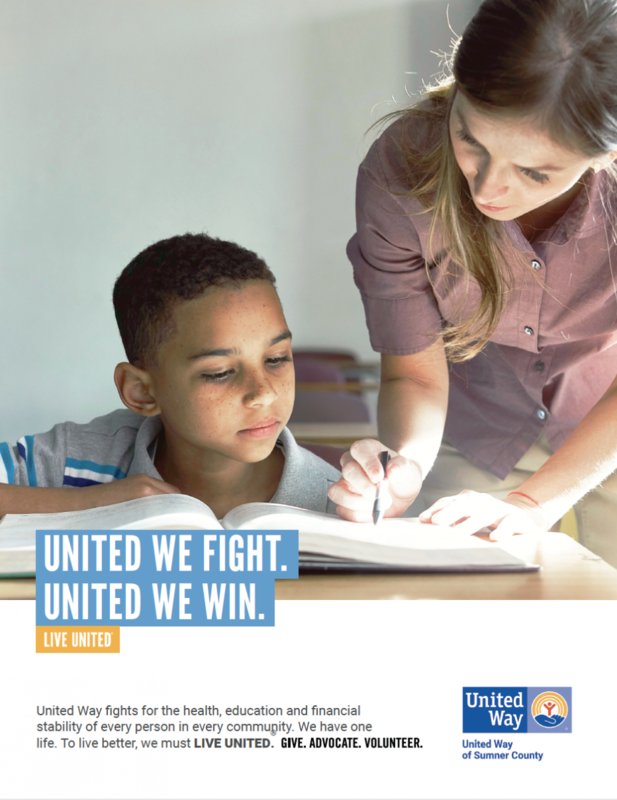 If your company does not currently host a United Way workplace campaign, this page has references to aid you in encouraging your workplace and developing a campaign. 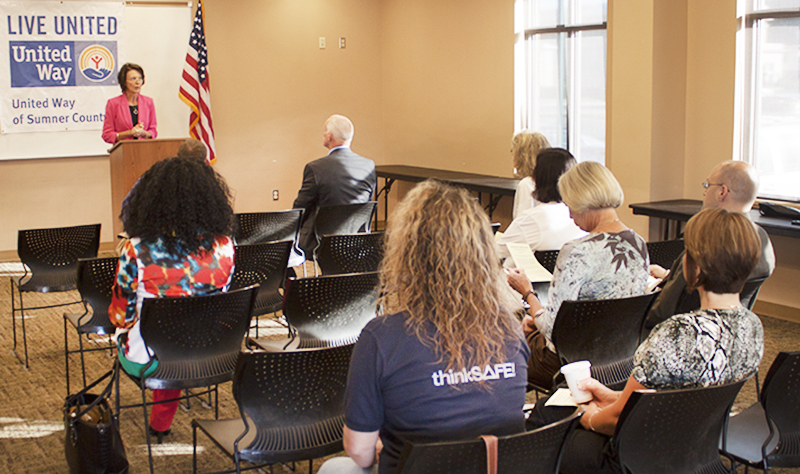 If you don't find your questions answered here, please contact the United Way of Sumner County. You may contact us via email or by calling (615) 461-8371. Our Campaign Year runs from April 1 to March 31 of the following year. The majority of our workplace campaigns are scheduled between the end of August and middle of November each year.We also hold "Pacesetter Campaigns" for companies wishing to take the lead in our annual Campaign; those companies agree to hold their workplace campaign between June and August. If your company is not able to host a campaign during these times, we are happy to accomodate the time that's best for your workforce.